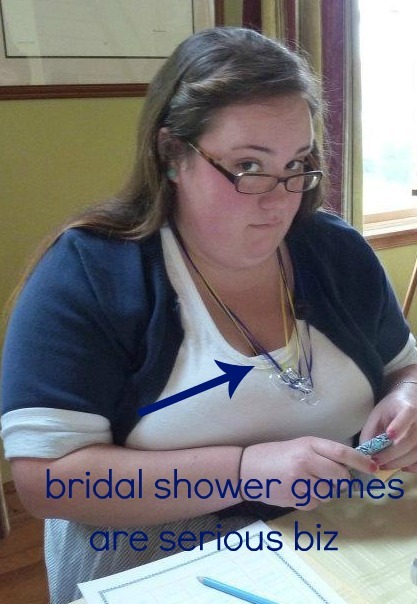 It's also not a secret that I've been a bridesmaid 1 or 2 4 times in the past 4 years. I love being there for my best friends on their special day. 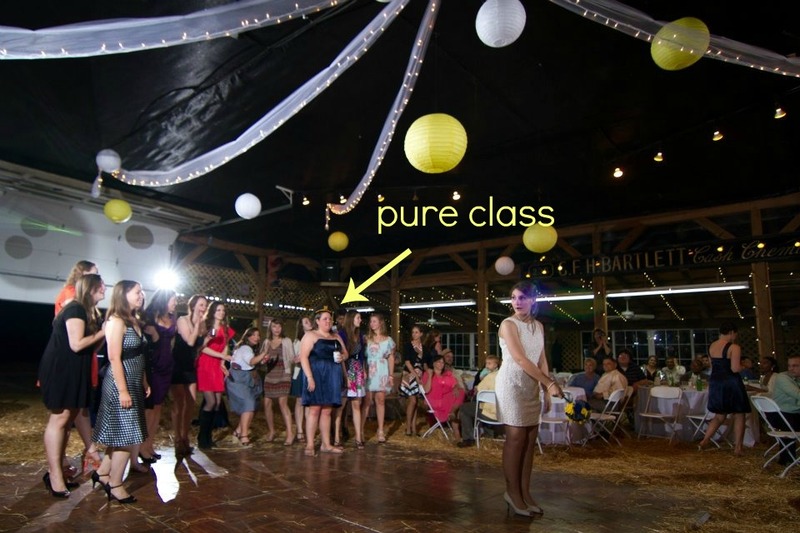 I also enjoy going through the food line first as part of the bridal party. I guess I should have included d. hungry monster to the list above. 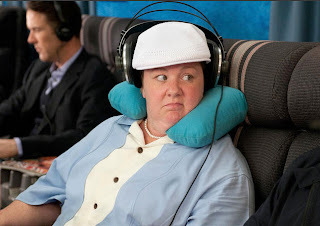 A series of recent events led me to realize that I am a lot like Megan from "Bridesmaids." For instance in the movie Megan takes like 6 puppies from the Bridal Shower. At Sara's Bridal shower I was so intense about this ring game we were playing that I may or may not have started yelling at older women who broke the rules. Say the forbidden word and I will take your necklace. The day of the wedding, Sara told everyone that she was getting a Chick-fil-A nugget tray for lunch. I heard Ashley's getting a Chick-fil-A nugget tray for lunch. I stood next to those nuggets for no less than 20 minutes. but my mouth was full of nuggets ya'll. I'm also found that I'm the poster child of style and grace just like Megan. I wore the captain's hat that was meant for the photo booth for the whole night. Even when standing in line to catch the bouquet. What really sealed the deal in realizing that I was morphing into Megan when I was recently on the train. I was just sitting there minding my own business and the MOST ADORABLE HUMAN EVER SAT NEXT TO ME. He was dressed in street clothes but had an Amtrak badge. "Is this guy an air marshal for the train? A train marshal? I should let him know I appreciate him protecting us. The 'Taking of Pelham 123' could become a reality. He could save us from a struggling John Travolta." As I watched him sleep, or should I say "sleep"
I fully realized how insane I was being. He wasn't a train marshal. They probably didn't even exist. My bearded friend was probably just going to another station. GOT UP AND MOVED TOWARDS THE FRONT OF THE TRAIN WITH SPEED AND AGILITY. We never heard what the police activity was. I, however, am convinced that gypsies took over a car. And I don't hate it. yes you def are :) and I love it! Okay... so I'm not the only one who looked at her part and said... ASHLEY! 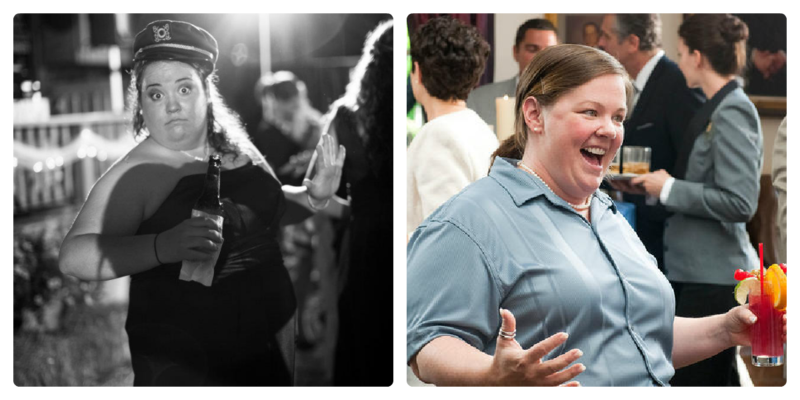 Although I think you would have done an even better job in the part but Melissa McCarthy is funny as sh!t so you shine in comparison too. Plus you're younger and prettier too! hahahaha. You are so correct. I adore this.